Located just a few minutes from the Mint in Winnipeg MB Canada, Walls Rod and Custom is the premier Specialty diesel Truck / Car shop in Central Canada. 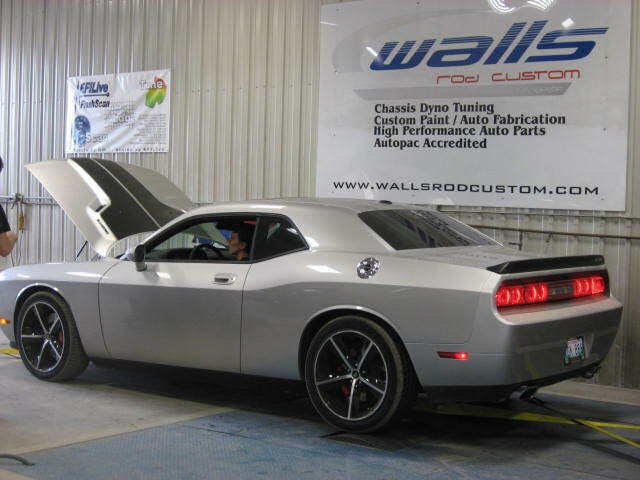 With over 60 years of combined experience in custom tuning, parts sales / installation, the Walls team is second to none in quality workmanship and customer satisfaction. Our custom dyno tuning services for most all diesel and gas applications. That's only the beginning: Walls Rod & Custom offers all of the top quality, high performance auto parts at the most competitive prices in Canada. Walls Rod and Custom is proud to bring the most state of the art Chassis Dyno to central Canada - the MD-1750-Importdyne-DE! Combined with our custom tuning experience we are very diverse in tuning such combinations as supercharged, turbocharged, nitrous systems or cam and exhaust system upgrades. Our service extend to the diesel performance world as well. We are also the leader in custom tuning of diesel trucks for increased horse power, fuel mileage and reliability on Ford Power Stroke, GM Duramax and Dodge Cummins. We stock a full line of Diesel performance parts from Exhaust systems to lift kits. Our 5000 sf. shop offers full installation dyno testing as well as custom made products in house.